Global industrial water purifier market is one of the emerging markets in developing nations across the globe. Rising number of chemical manufacturing industries in emerging economies such as China, India, and others is increasing the contamination of water. Only 4% of fresh water is available on earth and water purification is needed to resolve the health issues such as diarrhea, cholera, and jaundice caused due to usage of contaminated water. Many water bodies are getting contaminated due to discharge of chemicals and wastes from industries. In 2015, as per World Health Organization (WHO) nearly 14,000 deaths are recorded every year due to polluted water. Government is taking initiatives to reduce the hazardous waste in water bodies and introducing strict policies for the industries. For all manufacturing and utilities industries, discharge of quality water to keep the ecosystem safe is a biggest challenge. This is increasing the adoption rate of efficient water purifiers by industries and driving the growth of industrial water purifier market across the globe. Water companies of England and Wales invested USD 170.0 billion to enhance the water purification infrastructure to improve the water quality and to keep ecosystem clean. In June 2014, The Orange County Water District (OCWD), California, implemented modular membrane system for groundwater replenishment. The adoption of modular membrane system expanded the microfiltration capacity by 44 million gallons per day. This has bought countable changes in industrial water purification and thus boosted the demand for industrial water purifiers. All developed and developing countries are primarily focusing on industrial water treatment and recycling of water. Australia is reported to reuse 20% of waste water in 2015. However, Israel reuses 70% of waste water in the same year. As per recent studies performed by UNEP (United Nations Environment Programme) in 2015, African Countries such as Senegal, Ghana, Kenya and Egypt are investing in green economy policies which are raising the industrial water treatment market in the country. It will simultaneously drive the demand for industrial water purifiers in the region. Industrial filtration primarily focuses on removal of unwanted raw materials from water which is being discharged in an environment. The global industrial filtration market is projected to reach value of USD 37.78 billion by the end of 2024 and is expected grow at a CAGR of 6.23% over the period of 2016-2024. Industrial filtration can be categorized into two segments i.e. liquid filtration and air filtration where liquid filtration accounted for 80% of total industrial filtration market share in 2015. 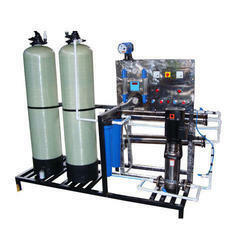 Rising demand of liquid filtration is driving the market for industrial water purifiers across the globe. The global industrial water purifier market is anticipated to grow at a CAGR of 6.71% during the forecast period of 2016-2024. Approximately 70% market share of global industrial water purifier market is occupied by R.O. purifiers in 2016 and is expected to dominate the market over the time period of 2016-2024. Reverse osmosis (R.O.) can reduce up to 97-98% dissolved materials from water with the application of semi permeable membrane and considered as one of the most effective process in water treatment. Continuous advancements in membrane technology are driving the adoption rate of RO industrial water purifiers. However, ultraviolet water purifiers are gaining traction due to its ability to kill pathogenic organisms. UV industrial purifiers use non-chemical method for the treatment of water which is the key boosting factor for wide acceptance of UV industrial purifiers across the globe. UV industrial purifiers accounted for nearly 25% of global market share of industrial water purifiers in 2016 and are expected to reach 30% by the end of 2024. Food & Beverage industry occupies nearly 65% share of global UV industrial purifiers due to its effective treatment of water with less time. Pharmaceutical industry is also inclining towards the adoption of UV industrial water as it provides high accuracy which can easily meet the environmental standards. Asia-Pacific region is expected to dominate the global industrial water purifier market over the forecast period i.e. 2016-2024 and accounted for 28% market share in 2016. Developing economies such as China and India has high level of water pollution. More than 80% of water is contaminated in China even tap water is not safe to drink. In 2015, Chinese government has amended 300 environmental regulations & standards for industrial discharge. These initiatives are increasing the adoption rate of advanced industrial purifiers to meet the environmental standards. Rising awareness towards hygiene and health and strong government policies are likely to boost the growth of Asia-Pacific industrial water purifier market over the next five to six years. Industrial water purifier market is expected to witness significant growth in North America region. North America industrial water purifier market is anticipated to reach value of USD 6.09 billion by the end of 2024 and expected to expand at a CAGR of 4.65% over the forecast period. In North America, nearly 52% chemicals are mainly used for purifications and treatments in industries. However, North America is the dominating market for industrial water purifiers with 35% of total market share in 2016. Expansion of food & beverages, pharmaceuticals and energy sector is the major reason behind the rising demand for industrial water purifiers. Water abstraction rate is over 40% in Europe, however only 20% of total secondary and tertiary sewage treatment plants. Only 65% of water is receiving water treatment before being discharged to the environment. The Netherlands and Luxembourg has approximately 98% of population who are connected with water treatment plants. Although growing industrialization and awareness about water borne diseases is propelling the growth of Europe industrial water purifier market. Processed water coming out from purifiers is free from bacteria, chemicals and other materials which make it safer to use. Government is also trying to create awareness about hygiene and health hazards caused due to contaminated water. These factors are likely to increase the adoption rate of water purifiers in manufacturing and power generation industries. Development in membrane technology is enhancing the industrial water treatment market which is simultaneously increasing demand for industrial water purifiers. Membrane bioreactors technology which is using micro and nanofiltration methods are used prominently in water treatment industries. These improvements in membrane technology are making water treatment more efficient and cost effective. Utilities industries such as oil & gas and mining sectors prefer low cost efficient water purifiers. This is one of the key factors which are majorly driving industrial water purifier market globally. Rising urban population is creating awareness among consumer to prefer safe water which is decreasing the rate of compromising with standard discharge from industries. Growing need of recycling and water treatment market is up surging the demand of industrial water purifiers across the globe. Although, continuous degradation of membranes of filters increases the operational cost and reduces the efficiency. Timely changing of filters is a costly process which is prohibiting the market growth of industrial water filters. Moreover, dependency on conventional method of water filtration in many industries is restraining the market growth of industrial water purifiers.